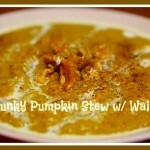 This week I’ll be featuring some soups from Seriously Soupy, aka Serena. 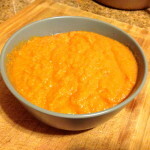 Serena started creating soups as a creative outlet for herself after her first daughter was born, which combined her passion for cooking with an interest in learning more about soups and soup making. 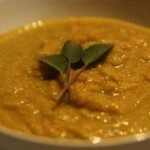 She has given soup tours and taught soup classes and has a catalog of over 100 homemade soups. Twice a month you can find her here, at My Judy the Foodie, sharing her culinary wisdom and helping to demystify the world of soup. With the temperatures creeping up and a few layers being shed, I have been thinking about lightening our meals. 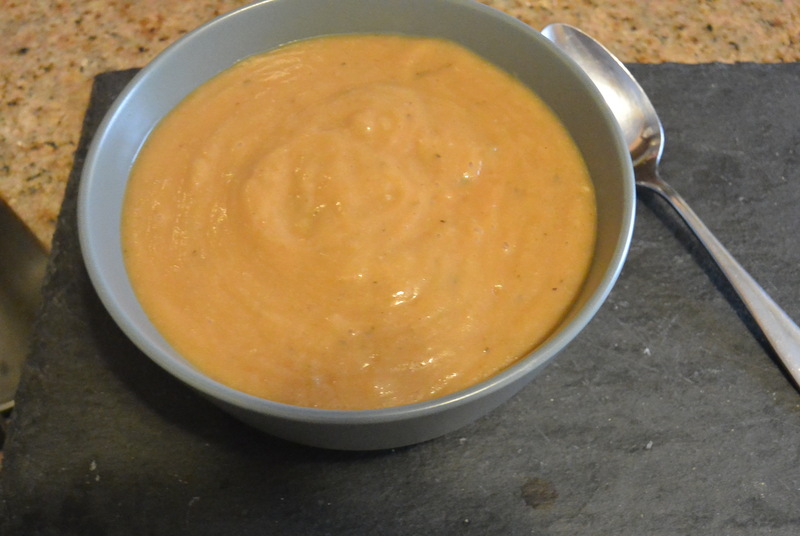 Not traditionally thought of as a warmer-weather food, I think soups are a great way to enjoy the freshest foods at your local farmers’ markets while also enjoying a healthy and quick meal option. In this recipe, I was inspired to think of a light, yet filling soup where I wanted to use cauliflower and eggplant as a base. Much has been touted about cauliflower for its health benefits that I thought would pair nicely with the aromatic and flavorful sage. 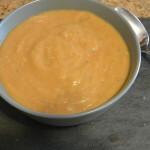 I also used tomatoes to make the soup “creamy” as well as celery, basil, leeks and onions for a earthy and delicious introduction to a lighter, yet satisfying soup. Add water to a pot and let boil. Cut up the garlic, onion, sage, and basil and it to the pot. 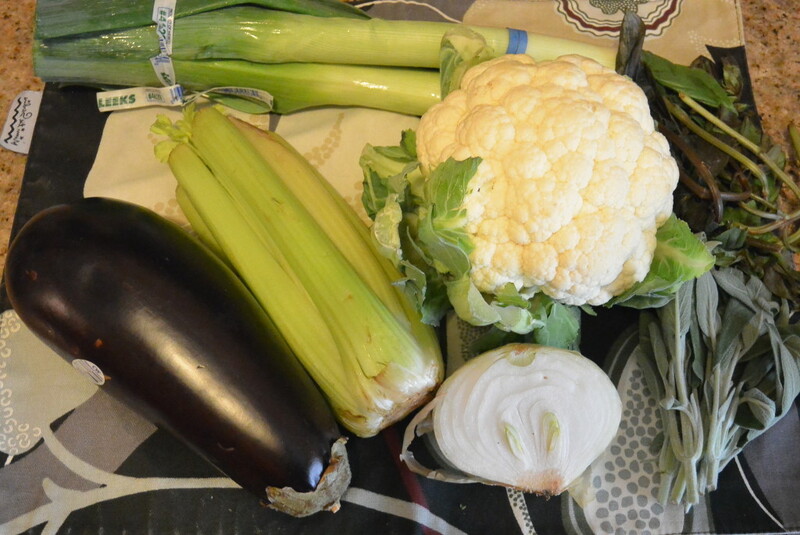 Cut up the eggplant, tomatoes, cauliflower and leeks and let cook for 30-40 minutes, stirring periodically. Season with salt and pepper and turn off the stove. Add to a blender to puree. Enjoy! The soup looks to be yummy. Very flavourful and yummy and healthy!